Any book that quotes Gerard Manley Hopkins and T.S. Eliot in its first few pages is going to speak to me quite personally. I knew from the outset this would be a book to be taken seriously and considered thoughtfully. I guessed it might be hard work. I was not wrong. Falling Upward is a book for those who are on a journey. Richard Rohr illustrates his thesis with the journey of Odysseus, but the journey he describes and seeks to explain is a spiritual and emotional one – and moreover a journey that, according to him, not everyone will be ready, willing or equipped to make. Rohr’s central point is that we live a life of two halves, each with its own task: “The first task is to build a strong ‘container’ or identity; the second is to find the contents that the container was meant to hold”. The world’s focus, he says, is fixated on the first task: establishing one’s identity, creating boundaries, seeking security and status, building community. That is all our society and culture seems aware of or demands of us. But it is only half the story. Berlin bookended my formative years. I first visited at the age of seven, though I have little memory of the long, hot trek through the flatlands of East Germany in my parents’ camper van. I returned seven years later, in 1982, with one year of schoolboy German and a deep fascination for the city and what it represented. I had read about the Berlin Airlift and the building of the Wall. I had stared at photos of Checkpoint Charlie. I had sat in the school library listening to a faded recording of JFK’s “Ich bin ein Berliner” speech from 19 years earlier; I stayed with a family friend just yards from the Rathaus Schöneberg where that speech was given, within earshot of the Freedom Bell as it rang every day at noon. You had to be there, they said. And I was. Last Sunday night I was at the Royal Festival Hall, listening to forty women–poets and performers–reading Sylvia Plath’s Ariel. It is not an experience I will forget in a hurry: intense, searing, overwhelming, cathartic, at times scandalously intimate, it offered a view of Ariel and its author that went far beyond any one reading or analysis. Introducing the performance, Plath’s daughter Frieda Hughes pointed out that in the years since her death, Plath has been analysed, dissected, re-interpreted, fictionalised, re-invented in any number of ways. (I paraphrase. I didn’t take notes.) This, said Hughes–this reading of the restored edition of Ariel (as distinct from the 1965 edition edited by Ted Hughes)–is the closest we can come to what Plath herself wanted to say. It is not necessarily what we might expect to hear. The restored edition is a very different collection to the one I know. How interesting that in this ordering, despite the darkness and despair of the poems, the sequence opens with birth, with “Love set you going like a fat gold watch” (‘Morning Song’), and ends with a faint message of hope: “What will they taste of, the Christmas roses? The bees are flying. They taste the spring.” (‘Wintering’). Listening on Sunday to these forty voices of Plath, though, I found myself wondering just what it is about poetry that speaks to us so powerfully and personally. At the risk of suggesting I know the answer, I’d like to put forward three ideas: introspection, ambiguity and individuality. Last Sunday night my daughters were singing in a performance of Fauré’s Requiem. Quite right too. Nothing unusual or alarming in that. Except that the concert blew my mind. Fair enough. The Fauré Requiem is a moving piece. But the piece still echoing in my head at 48 hours’ remove is the piece that opened the programme: Bach’s Partita no. 2 for solo violin, superbly executed by Adrian Adlam, its movements interspersed with a series of chorales performed from the back of the auditorium by a semi-chorus. The final movement, the chaconne, saw four of the semi-chorus weaving the chorales into the violin part, to extraordinary effect. This interpretation of the Bach is based on the work of musical cryptologist Professor Helga Thoene. 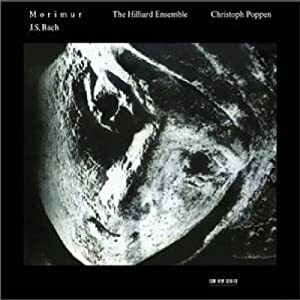 There is a recording available by the Hilliard Ensemble, and a review which discusses Prof. Thoene’s theories, not all of which are entirely convincing. Nevertheless, the interpretation turns the Partita, which Bach wrote shortly after his first wife’s death, from a sublime piece of absolute music into a moving reflection on loss, grief and hope. The programme note was quite clear: there’s no evidence that Bach intended it to be performed this way, but it offers an intriguing insight into how he might have heard it in its own mind. I will certainly never hear the piece in the same way again. Every once in a while you read a book that passes straight into your bloodstream, and you are hardly aware of how it happened. When God was a Rabbit describes itself as the story of a brother and sister, “about childhood and growing up, friendships and families, triumph and tragedy and everything in between…about love in all its forms”. That is a perfectly fair description as far as it goes. What it doesn’t say is anything of the quiet and kindly magic with which Sarah Winman defines her characters. Elly, her brother Joe and her childhood friend Jenny Penny are all outsiders – not the angry and embittered kind, though, but the kind who know they are in some small way different, unique, set apart.